Track the status J PRODUCTS with e-mail notification. Type in required information (Master AWB number, e-mail address) on this page. 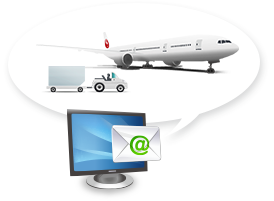 The current shipment status of shipment is automatically sent to your e-mail. 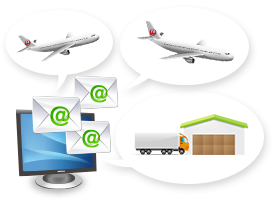 Notifications let you monitor the shipment real-time whether you are in the office or on the go. Type in the required information below. If you need to add a new e-mail address after you registered once, please type all the e-mail address again.